Here, you’ll find information on the digital TV service from UK Broadband provider TalkTalk, including information on their new YouView TV offering. TalkTalk TV is a digital TV service that lets users watch live TV and on-demand content via a broadband-enabled phone line. 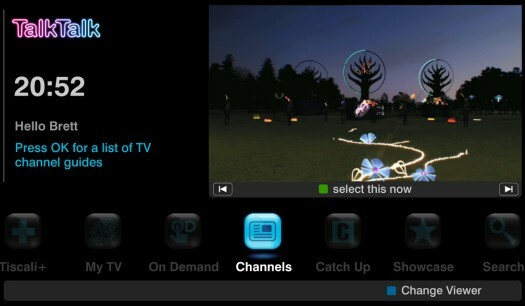 The YouView and TalkTalk offering became available in October 2012, and marks a re-entry into the digital TV market for TalkTalk after they closed their original TV offering to new customers some time back. The new TV service combines live TV from Freeview, together with new services offered by the YouView service, and live sports. Unlike their rival YouView partner BT, TalkTalk is able to offer Sky Sports and Sky Movies channels on its TalkTalk service. What does TalkTalk TV offer? TV Starter Boost (£5) – Your favourite entertainment shows, culture and sport with Sky 1, Sky 2, Sky Living, Sky Arts 1, Sky Arts 2 and Sky Sports News. Kids Boost (£5) – 13 children’s channels including Nickelodeon, Disney and Cartoon Network, many available on-demand. Music Boost (£5) – the most popular music channels in the UK including MTV Music, The Box and more. Entertainment Boost (£10) – all channels included in the TV Starter Boost plus, Gold, Watch, Comedy Central, Fox, Discovery and much more, including some on-demand. Entertainment Extra Boost (£15) – our biggest selection with 58 channels including all of those in the Entertainment Boost plus Kids and Music. Other TV Boosts – Sky Movies Boosts and Sky Sports Boost are also available for 1 month at a time for £15 and £30 respectively. The ESPN Boost is £10 per month and our Asian Boost featuring the best in Bollywood blockbusters is £10 per month. Originally known as Tiscali TV (until the Carphone Warehouse’s takeover of Internet firm Tiscali), TalkTalk TV offered TV channels over the phone line. Sky One, Sky Two, Pick TV, Comedy Central, GOLD, SyFy, BBC Three, E4, More4, ITV2, ITV3, ITV4, Film4, ESPN, Discovery, National Geographic, Chelsea TV, Nickelodeon, Cartoon Network, Cbeebies, Sky Sports, Sky Movies, and more. The original TalkTalk TV service came with a PVR (digital recorder) that could hold 50 hours of TV. It had the ability to record up to three things at once – a digital stream of TV-over-Internet, as well as two Freeview channels (if you connect the box to a TV aerial). 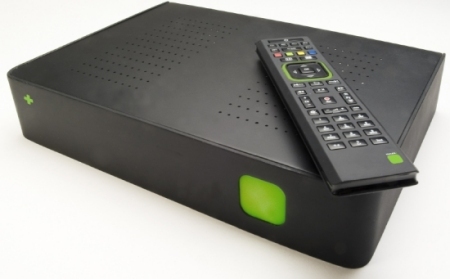 Record TV-over-Internet onto the PVR and play back on your telly. The TalkTalk+ PVR was originally available on Tiscali TV for £50, on top of the monthly subscription. If you’re looking for an Internet-based service that’s available to a larger part of the UK – Take a look at BT Vision , YouView on BT or Virgin Media. I am looking to view Gold, History, Drama and Discovery channels and wondered what price per month they would be from yourselves. Currently have Sky but it is very expensive and looking for a cheaper alternative. Also if I went with yourselves what would it cost on top to set up those channels, eg set top box etc? Look forward to hearing from you via my email address above.